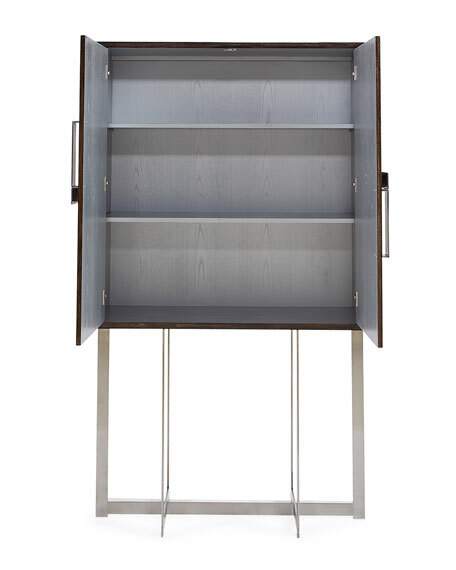 A cabinet on a brushed stainless steel stand. The case is finished in high luster, dark grey hyedua veneer which is cerused in silver leaf. A cross pattern of hyedua veneer decorates the panels of the two doors. 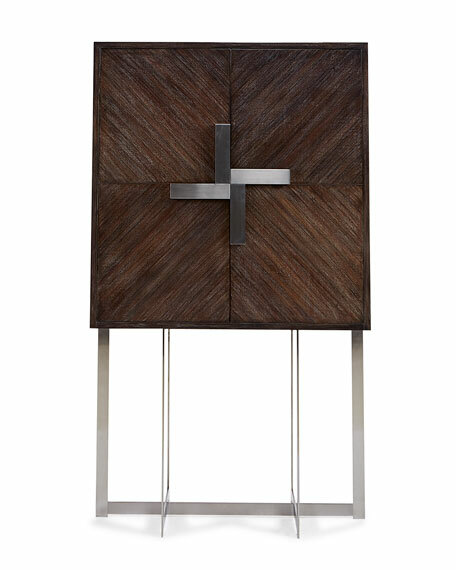 Handcrafted cabinet with stainless steel stand and detail. 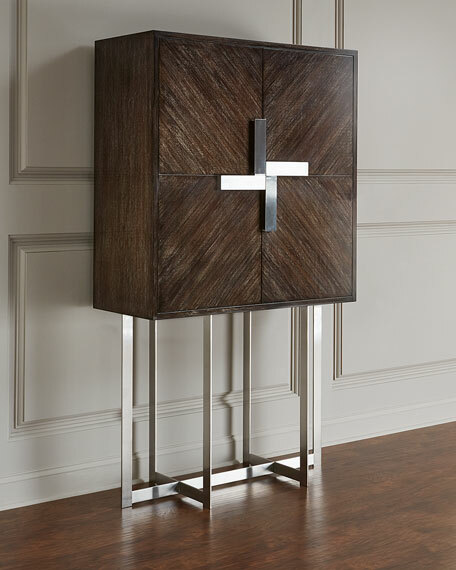 Overall, 44"W x 19"D x 77"T.
Hyedua quarter, ash and celtis veneers, wood composite. Boxed weight, approximately 323 lbs. For in-store inquiries, use sku #2530425.